CVTech-AAB is a Canadian company founded in 1966 by Mr. Adrien Bernard. Starting as a modest repair shop, the family business Atelier Adrien Bernard Inc., now known as CVTech-AAB, has become a leader in its field. CVTech-AAB offers full service reconditioning of 2 and 4-stroke gasoline and diesel engines, parts and accessories. 1966 Founded Atelier Adrien Bernard Inc. by M. Adrien Bernard in Thetford Mines, QC. 1988 Development in watercraft sector. 1991 Mr. Bernard's 4 sons decide to buy the company, they become part owners with a team of 16 employees. 1995 Introduction of a plating line of cylinders whose unique process is called Nika-Tech. First Canadian company to produce the coating with this technology. 1998 The family company received honors by the National Bank and won the L’auréat Gold for the Chaudière-Appalaches contest SME. That same year, they are granted with the Bilzz'Or award from the Federation of Quebec Snowmobilers as Manufacturing Company of the Year. 2003 Atelier Adrien Bernard expands in western Canada. 2006 CVTech Group Inc. well-known as continuously variable transmission (CVT) manufacturer, purchases Atelier Adrien Bernard, which will now be known as CVTech-AAB. 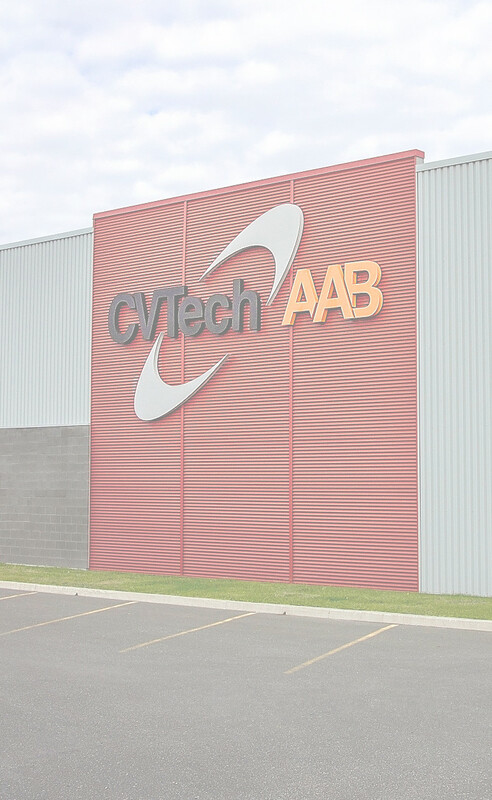 2008 CVTech Group Inc invests more than $ 3.5 million for the construction of a new plant for its subsidiary CVTech-AAB in Thetford Mines. 2010 Opening of a distribution center in Wisconsin. 2012 CVTech Group Inc. (NAPEC today) sells its vehicle division (CVTech-AAB, CVTech-IBC and CVTech-R&D). Christian Mercier and Alain Charest acquire the CVT systems as well as CVTech-AAB. CVTech-AAB, IBC and R & D now form the new CVTech Inc corporation. 2013 CVTech-AAB acquires Marine Medics, one of the largest companies specializing in rebuilding and repairing outboard motors in Canada. 2014 CVTech Inc. receives a bronze award from the National Bank in the SME category (from 10 to 50 million dollars in sales) for Central Quebec.